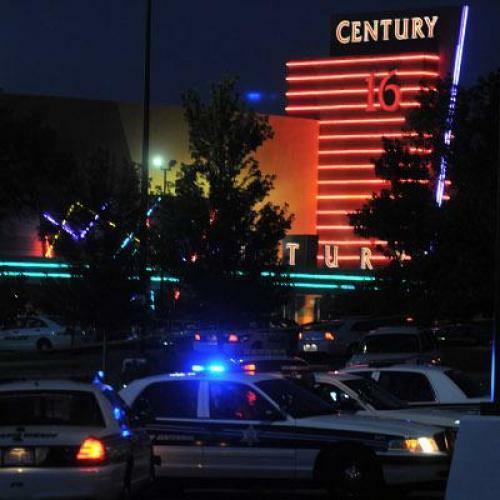 The deadly shooting in Aurora, Colorado is a tragedy. So why don’t we want anything good to come out of it? That’s the consequence, after all, of insisting that we avoid “politicizing” a horrible event like this. Instead we’re supposed to sorrowfully shake our heads, proclaim it an act of senseless violence, and pretend that comforting words are all we have to offer in its wake. Garance Franke-Ruta wrote this morning about the “template of grief” that is so heartbreakingly familiar now when something like this takes place. Statements are issued, memorial services are televised, moments of silence are observed. After a length of time that is deemed respectful (days, maybe a week), we move on. Maybe someone offers legislation to change our gun laws, but it doesn’t go anywhere. And then, in a different place and at a different time, it happens again. Surely that isn’t the best we can do. As Michael Grunwald notes, we politicize the trivial all the time—why are the pundits who serve as the Miss Manners of the political world always warning against politicizing a tragedy? It’s telling that the people who get paid to analyze politics recoil at the notion that its practitioners should connect it to real-life pain. They think they’re covering a sport, an entertainment. But politics matter, because policies matter. “Obamacare” and “gay marriage” are not just issues that might play badly with swing voters or turn the tide in Virginia; they’re issues that affect people’s lives. Gun control and the Second Amendment are issues, too, and now seems like a pretty good time to talk about them. Of course, not everyone thinks that government should be in the business of coming up with ways to address violence in our country. But many people do think that it can play an important role. That’s a debate to be had—just because one side doesn’t want government involved doesn’t mean we don’t discuss policy options at all. Yet that’s essentially been the accepted status quo for the past few decades. For goodness sake—a congresswoman was shot in the head two years ago and her colleagues didn’t do one thing to reform laws regarding guns or the mentally ill.
I’d add to that a plea for an honest debate about guns. There are genuine differences of opinion regarding the right balance to strike between gun control and protecting the rights of gun owners that deserve to be taken seriously. But it’s nearly impossible for that to happen, because the NRA feels the need to make its case by lying. Right now, representatives from all the world’s countries are at the United Nations to negotiate the first-ever Arms Trade Treaty to regulate the international sale and trade of firearms. The treaty has broad support, especially from religious groups—from the Vatican to the World Evangelical Association. It’s easy to feel helpless when a tragedy like this shooting that claimed at least a dozen lives occurs. But that doesn’t mean that our nation’s leaders shouldn’t even try to talk about ways that we might make such incidents less likely or at least less deadly. That’s not being political—it’s being responsible.